A Street Safe session for young drivers will be held on Saturday, April 27 from 9am – 1pm at Watauga High School. Corporal Kat Eller, with the Boone Police Department and the Lead Coordinator for Streetsafe in Watauga County, tells WataugaOnline.com that the Saturday morning session may make an impact that will save their life. She went on to add that it gives drivers fun hands on learning about the dangers of distracted driving, speeding, tailgating, not wearing their seat belt, and driving while impaired. The cost is only $30 and all that is required is that the student has a learner's permit and some driving experience. The courses are set up in the parking lot and the instructors are Law Enforcement, Fire and EMS. 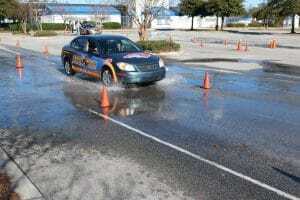 Sign up online under Lifesaving Driving Experience for the Watauga County Session!